Take a look behind the scenes of #TwitterplaysDayZ, an interactive DayZ story series where your vote decides the outcome. The new DayZ Status Report shows us which features and content we’ll get with the first 0-63 patch. The new DayZ Status Report showcases the state of development, new animations, weather changes and new audio. The second part of “The Humans of Chernarus” photo series shows us more survivors who all have different ways to cope with this new and desolate world. The Community Stream was not a developer Q&A but still gave us this interesting info. 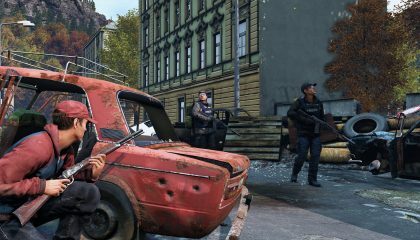 These engine and gameplay changes are coming to DayZ.